I’m looking outside on the back porch right now, and our large, wooden dining table is completely covered with flowering annuals and vegetable starts. That’s this afternoon’s project before work: planting the spring garden. Steve and I have been so consumed with other plans and happenings, both inside and outside of work, that we have not had the time to get the garden going. It’s the latest we’ve ever planted, I think. We finally hired a new AGM at the restaurant, which is such a load off our backs. All of us were willing to work extra hard, so that we could take the time to ensure we found just the perfect person. It seems we did just that. In the midst of a few 50-hour work weeks, Steve has also managed to tear down our old fence and build a new one, one that incorporates some of the old pieces with the new. At least our backyard is prepped for all of the plants we’ll be tucking into the soil later on. Last week, we squeaked in a road trip out to the western slope of Colorado, past the Rockies, in the beautiful, high elevation towns of Paonia and Hotchkiss. We didn’t want to come back home. This area is known as the “farm-to-table mecca” here in Colorado. Peaches, apples, cherries, and grapes thrive in this verdant belt, shadowed by tall, snow-capped mountains. We’ve been most impressed by some of the wine that’s being produced in this area, most notably, elegant Pinot Noirs and aromatic, crisp Gewurztraminers. That whirlwind, 36-hour trip was so fun for us, even in the midst of the stress at work. It felt like a getaway into another world. We couldn’t wait to go back, meet up with one of the winemakers we’d befriended, and do some more exploring. So, on Sunday evening after closing down the restaurant, that’s just what we did. We drove halfway to Paonia and checked into a hotel in Vail, just before 2:00AM. We set an early alarm for the 2 1/2-hour trip the next morning and passed out cold. We spent the entire next day exploring several wineries in the area, known as the West Elks AVA, and made it back to Vail, where we celebrated Steve’s birthday at Sweet Basil. Their current spring menu is spectacular. I think both of us nearly fell asleep there at the bar top. We’d simply packed too much in on this trip, but it was also, somehow, invigorating. I’ll share more details in an upcoming post. Today, I’m sharing an iteration of a gin fizz with you, one which features a few fun, seasonal ingredients. 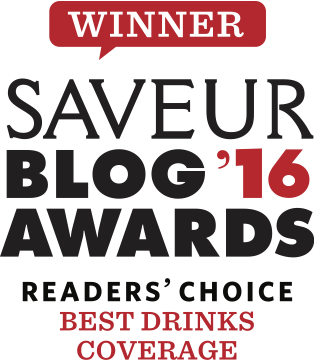 Have you ever used jam as a cocktail component? Jam is so multi-dimensional: it’s sweet, it has a good amount of acidity, and it adds a rich texture to a drink. I really wanted to make a floral, gin-based cocktail and add just a touch of absinthe to the mix, but I didn’t have any on hand. I remembered that I had a jar of Red Camper’s “Absinthe Orange” Deliciousness, and I knew it would make a great substitution. A traditional gin fizz is pretty simple in its construction. It’s in its execution, however, where the hard work comes into play. The secret to a silky, rich texture is how long and how hard you shake the cocktail. Don’t make any shortcuts. This particular riff on a fizz incorporates chamomile syrup, a dash or so of orange bitters, and some of that marmalade I mentioned above. The floral notes in the chamomile syrup pair perfectly with gin, and there’s also a tea-like dryness that contrasts well with the sweetness. In a mixing tin, combine the gin, chamomile simple syrup, lemon juice, marmalade, orange bitters, and egg white. Cover and “dry shake” for 30 seconds. Fill the tin with ice, cover, and shake for another 30 seconds. Don’t slack here! This is where you get that rich, meringue-like texture. Double strain into a chilled coupe. Depending upon the size of your cocktail glass, this may yield two drinks. Garnish with a few chamomile flowers. Always use fresh, organic egg whites for optimum flavor, freshness, and consistency. If you can’t find this amazing, limited edition jam from Red Camper, you can always use regular citrus marmalade and give your cocktail glass a quick rinse of absinthe. 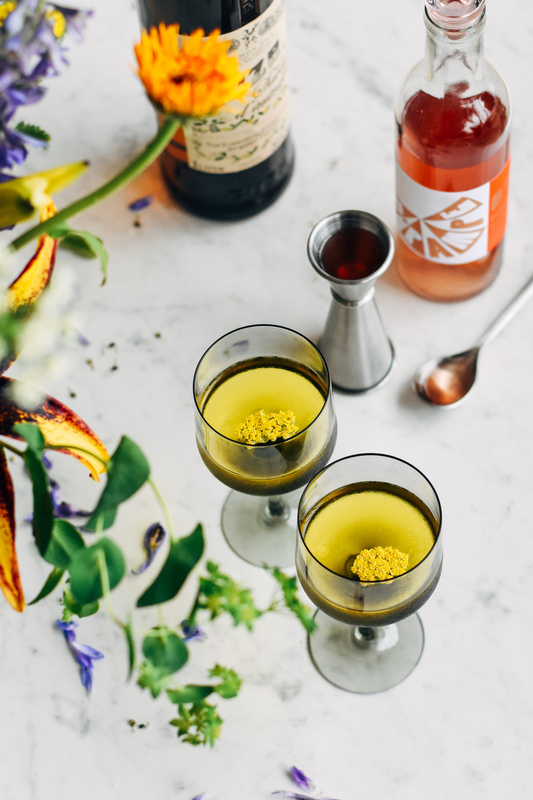 If you love the floral, tea-like aromas of chamomile in cocktails, I spied a few other seasonal cocktails that feature this dainty, spring blossom. The first two even call for chamomile syrup in the recipe, so you’ve already got that in your arsenal! The Apertivo, via Sherrie over at With Food + Love // Sherrie crafts a gin-based cocktail with chamomile syrup, a strawberry shrub, and, my favorite, Campari. This would also work well with a rhubarb, blackberry, or raspberry shrub. 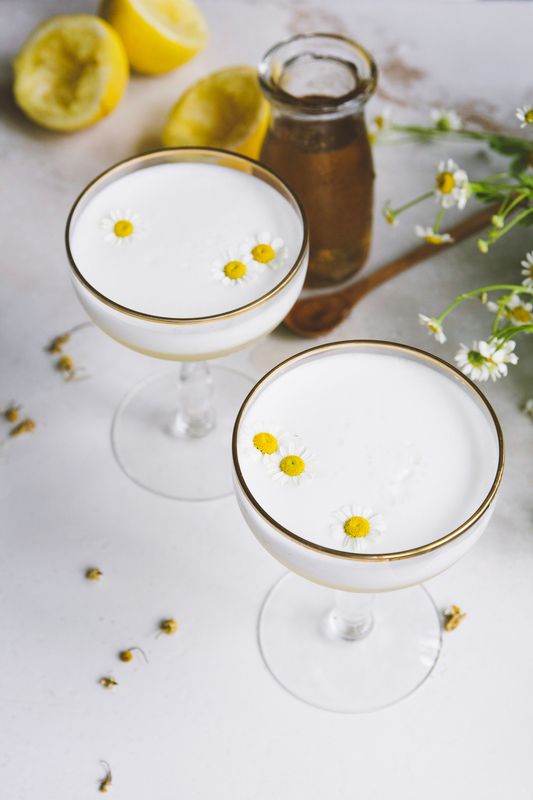 Lemon Chamomile Spring Cocktail, via Todd at Honestly Yum // It’s a fizz with Greek yogurt, lemon curd, and elderflower liqueur. This one is all about texture. 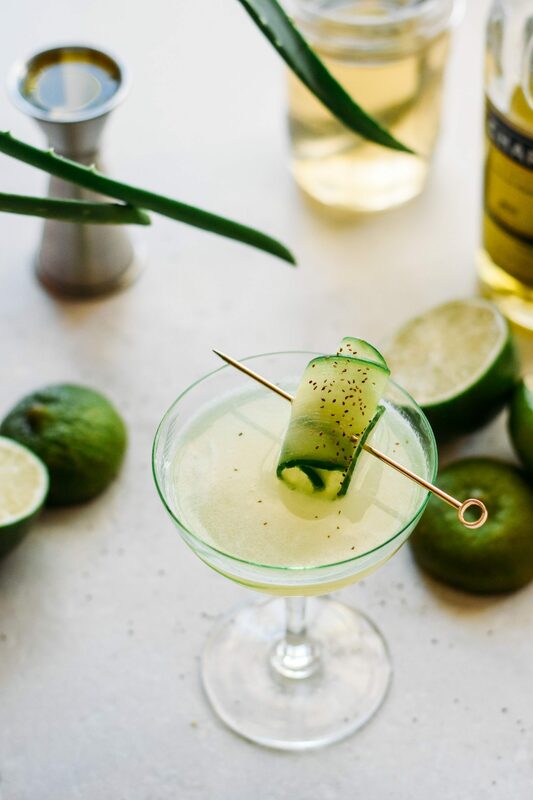 I’d make lemon curd just to make this cocktail. Chamomile Old Fashioned, via Ashley at Craft + Cocktails // While Ashley has mad cocktail-making skills, this one is beyond simple: it’s a bottled chamomile Old Fashioned. Pour, ice, stir, and sip. Some Saturdays call for just that. Combine the water and sugar in a small saucepan and bring to a slow boil. Stir the sugar until it dissolves and add the chamomile flowers. Stir the chamomile flowers until incorporated and let the mixture cool to room temperature. Strain the solids through cheesecloth or fine-mesh strainer and store in the fridge up to a month. I found my chamomile flowers locally at Apothecary Tinctura here in Denver. You can also find them online at Mountain Rose Herbs. Cheers to an extra great Memorial Day weekend! What are your plans?? I’m just about to venture outside, finish planting, and pretend I don’t have to work this evening. 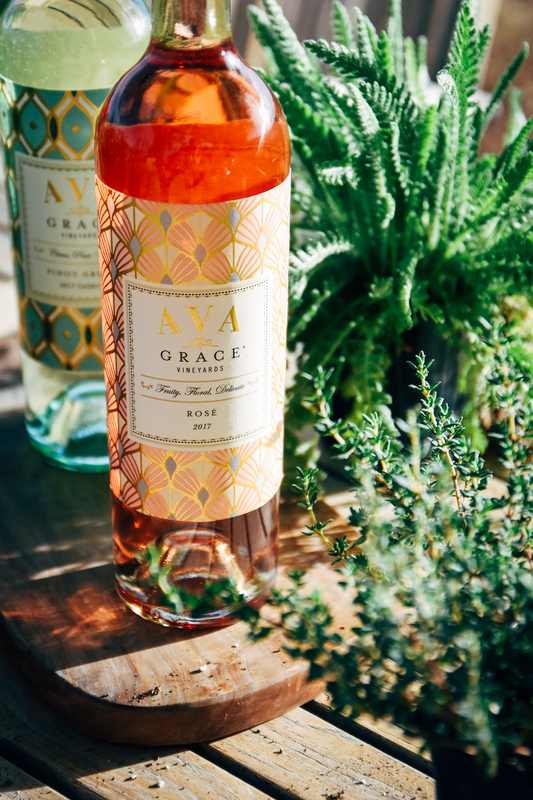 As far as Monday goes, I’m seriously thinking about chilling down some rosé, settling in with a good book, and taking a long nap in the grass. Those kind of thoughts are powering me through today! 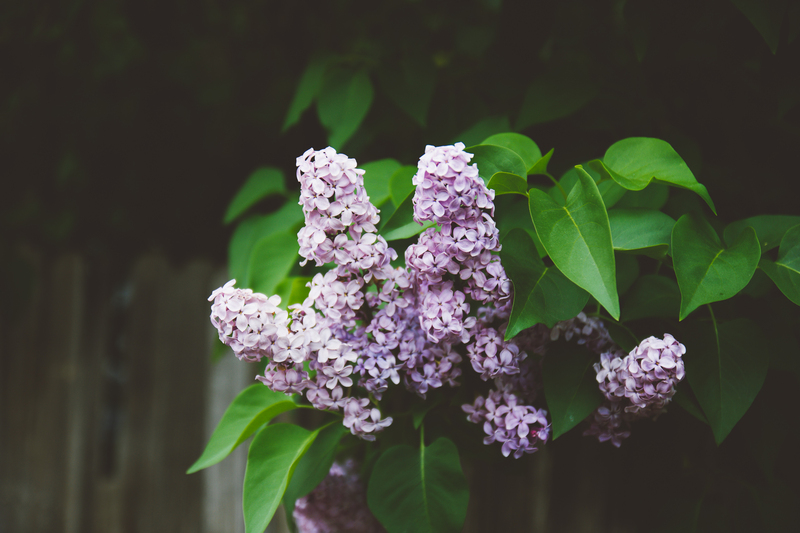 Late spring lilacs, blooming in the backyard. Red “Jupiter’s Beard” flowers along the north face of our house. 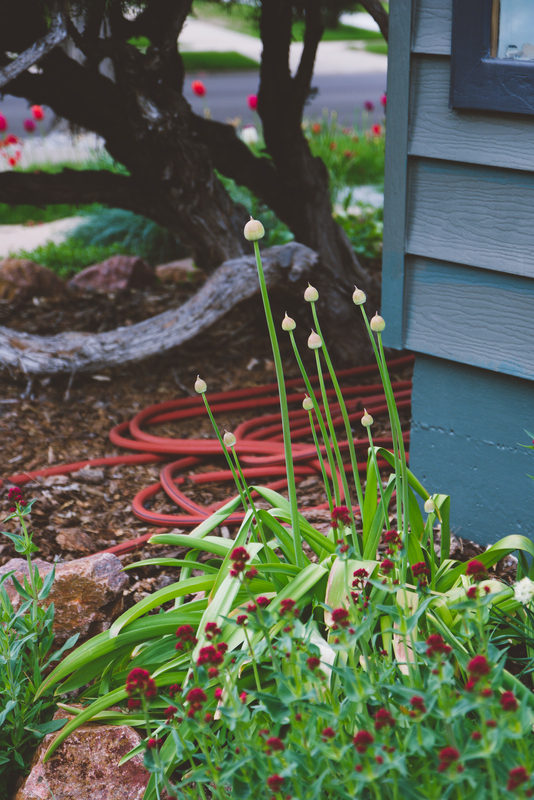 The giant, white alliums are just about to bloom. 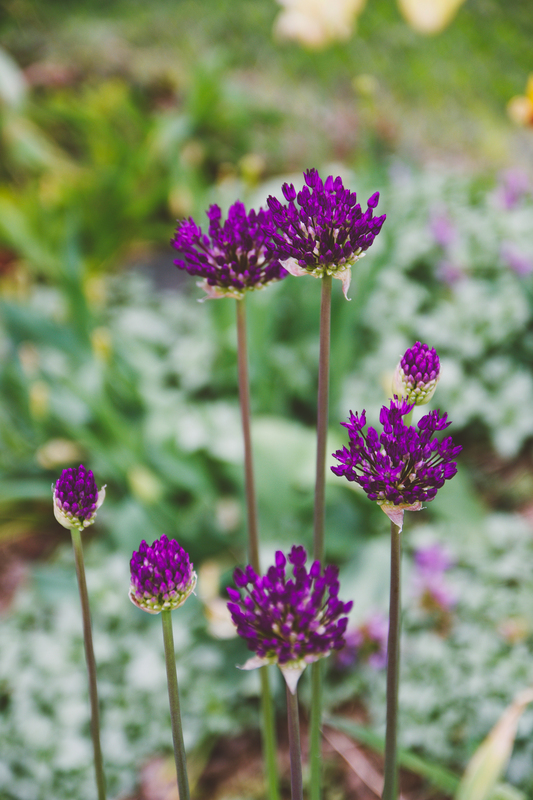 Purple alliums ready to bloom. They attract so many bees and look like they just walked out of a Dr. Seuss book. 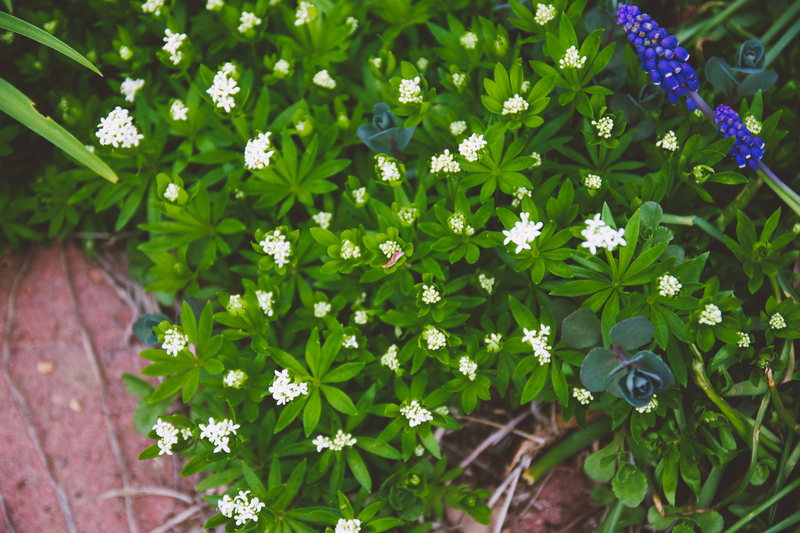 Sweet Woodruff along the walkway to the barn. 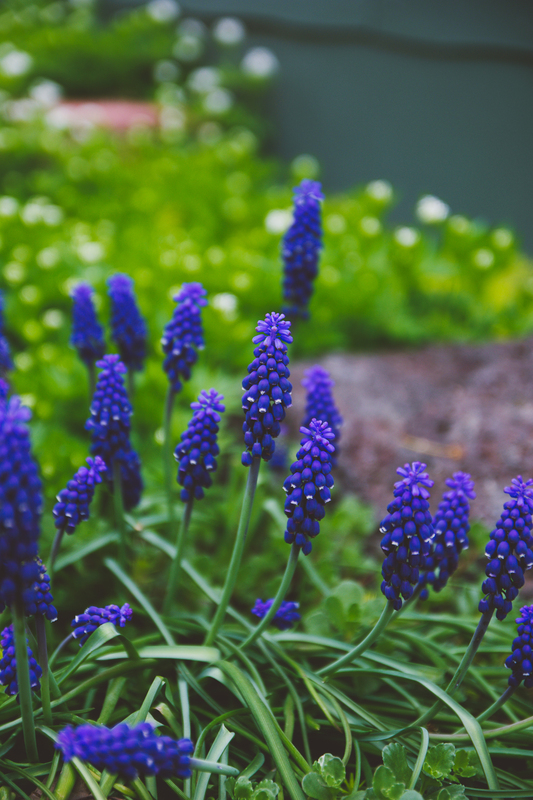 Grape hyacinths along the back walkway. 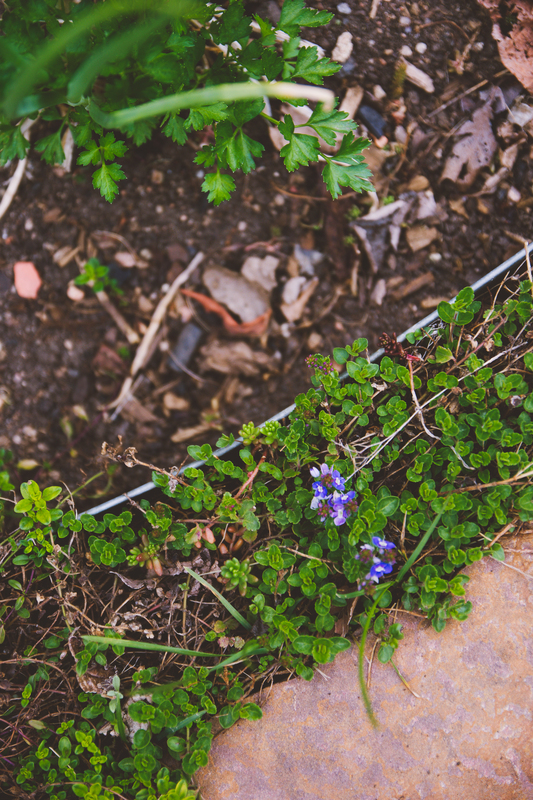 Tiny, purple blossoms along our flagstone pathway. 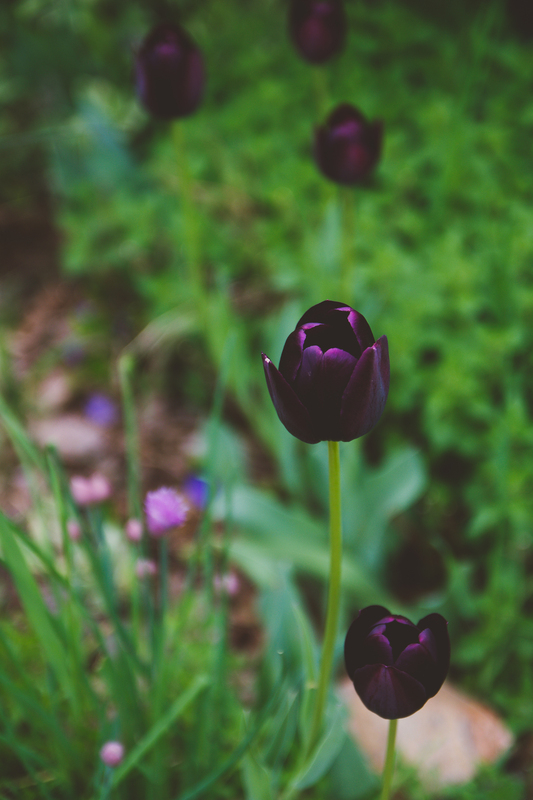 These are my FAVORITE tulips: they are almost black. 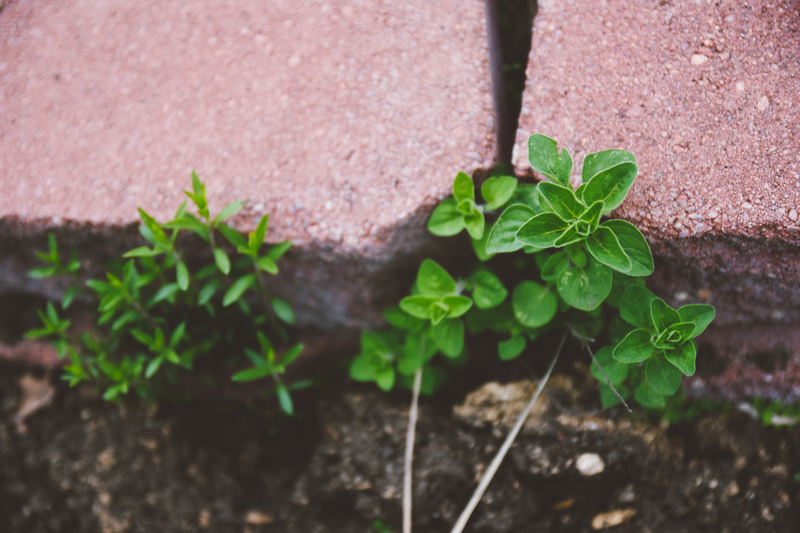 Sneaky, little oregano, peeking through the bricks. 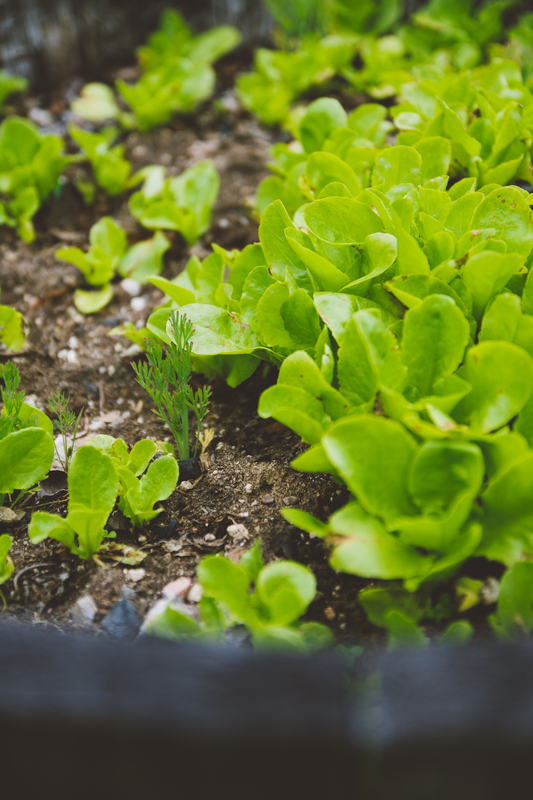 We’ll be thinning these lettuce starts that popped up from last year’s batch. This is so beautiful, it reminds me of a signature drink for a wedding or shower. Edie, thanks for stopping by. I am LOVING all of your recent posts, especially over on IG. We seriously need to meet up for a cocktail. I still have a package coming your way – don’t lose hope! It’s been a crazy one for me lately, so hold on with your patience! Big Xs and Os your way!! No hope lost here!! I am the same way! love you and love your blog!! I’ll put the request out in the universe to come and visit you and Steve and the cats!!! Love to see your area! 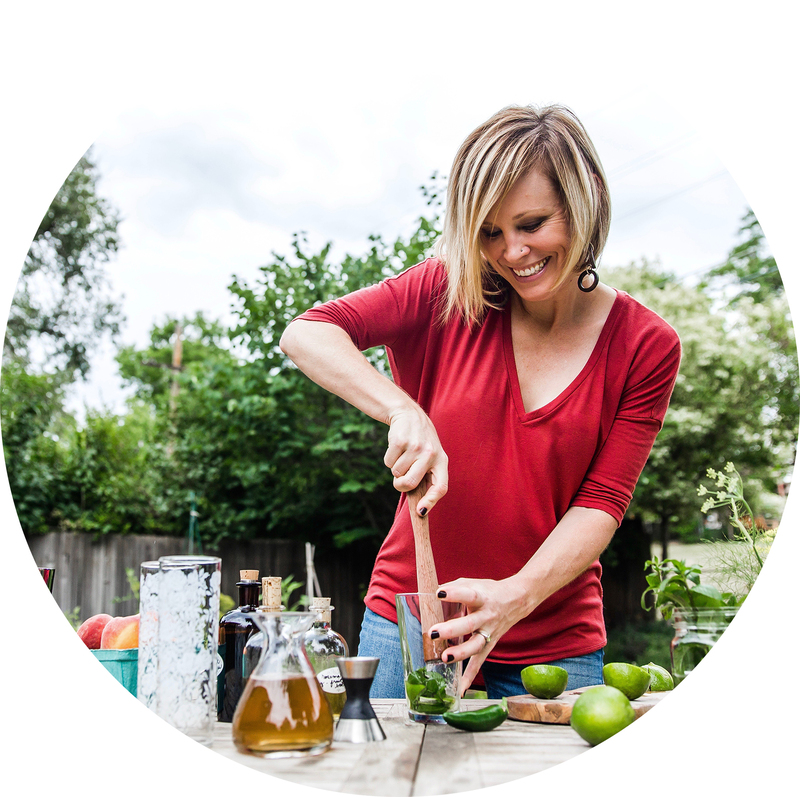 Amazing blog, Jayme ! I couldn’t help myself but write a post about your blog.. 🙂 Keep up your wonderful work. You inspire me. I completely understand what you are saying. Sometimes, taming the critic inside ourselves is extremely hard. Absolutely love this. Thank you so much. Looks amazing!